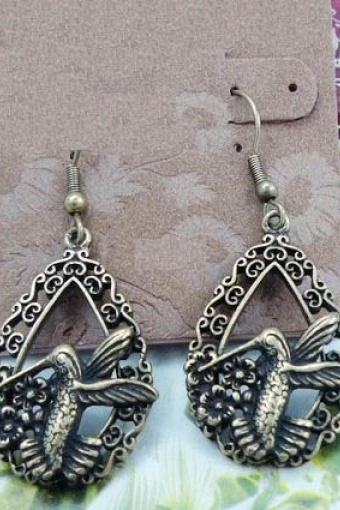 Hummingbird earrings From Paris with Love! 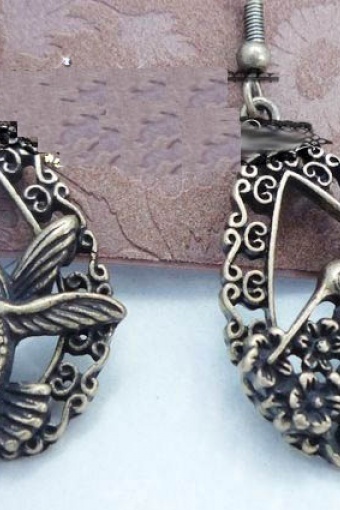 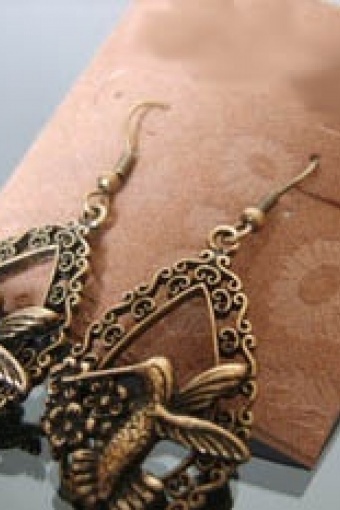 Cute Colibri earrings made of bronze gold toned metal (nickelfree). 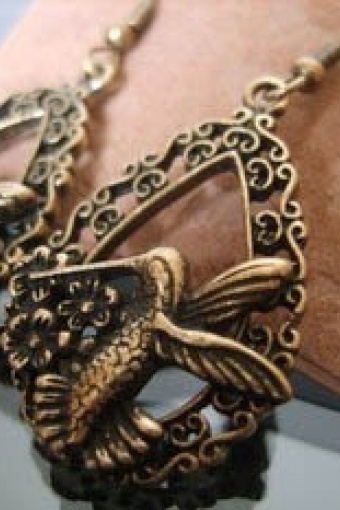 The colibri (hummingbird) is a sacred symbol for the Taino Indians, the bird is found on many Caribbean islands.